Cockatiels As Pets - Will They Be Your Perfect Pet? 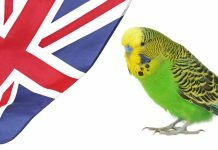 Home Birds Cockatiels As Pets – Will They Be Your Perfect Pet? Cockatiels as pets are some of the most popular pet birds in the world! In fact, cockatiels take second place in the pet bird category only to the parakeet (budgerigar). For the right person, the question of “do cockatiels make good pets?” is a resounding YES. However, cockatiels can be relatively long-lived pets. So it is vital to make sure you can offer that long-term commitment before bringing your new cockatiel home. Read on to learn everything you need to know about cockatiels as pets to decide if a cockatiel is the right next pet for you! 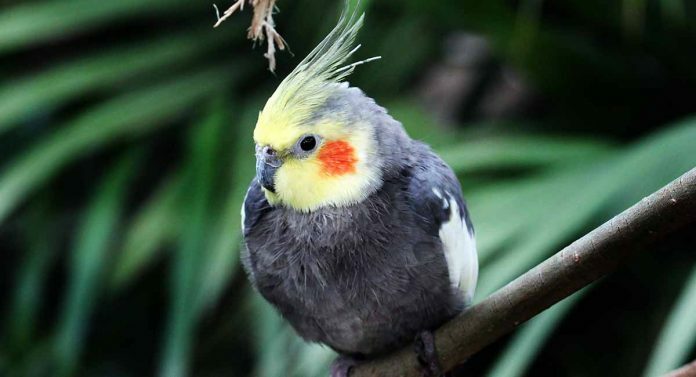 Cockatiels hail from Australia and parts of Asia. Wild flocks of cockatiels numbering anywhere from one hundred to thousands still fly and nest and feed there in their native tropical forests and grasslands. In captivity, cockatiels came to the United States in the early 20th century and rapidly found their way into homes and hearts across the country. Today, the cockatiel is the most popular avian pet in the world after the parakeet! Pet cockatiels typically live 15 to 25 years but can live into their 30s! Cockatiels have their own unique temperament, personality and care needs. The cockatiel tends to be an exceptionally loving pet bird that bonds closely with one person and often their entire human family. Both wild and domestic cockatiels typically mate for life and are monogamous with their mate. Understanding this is vital if you consider cockatiels as pets! A solitary cockatiel will need extra attention and affection from you in order to thrive as a single pet. Since not all cockatiels will instantly get along with each other, it is best to choose a mated pair or two siblings if you plan to bring two pet cockatiels home. Because cockatiels are common pets, far too many people bring one of these sweet and sociable birds home on impulse. Only later do they realize they lack the time or interest to take proper care of their bird. For this reason, it is always great to start your search for a pet cockatiel by contacting local animal rescue groups and shelters. You can give a relinquished cockatiel a wonderful new forever home! Working with a breeder to select a hand-tamed young cockatiel is another great way to select your new pet. Avoid purchasing cockatiels from pet stores, as you may inadvertently support bird mills. Hand-tamed cockatiels, whether rescues or breeder-raised, make the best pets. They will come to you already knowing basic commands such as “step up” (to step up onto your finger, a perch or your hand) and they are already socialized to people. It is possible to tame and socialize an adult cockatiel who has no prior experience with commands or handling, but this is a much harder road to take! If you choose to work with a breeder, ask to visit the breeder’s location so you can see their operation firsthand. You want to be sure the breeder raises happy, healthy birds in clean and sanitary conditions! Cockatiels as pets have specific needs to live the longest, healthiest and happiest life with you. Read on to learn about each of these needs and how best to meet them. Cockatiels need more cage space than may first meet the eye. The full cockatiel wingspan averages 16 inches and your bird’s height from head to tail is typically 12 to 15 inches. The minimum cage dimensions to house a single adult cockatiel are 18 x 18 x 18 with cage bar spacing between 0.5 and 0.875 inches. However, if at all possible try to offer a larger cage (with the same bar spacing for safety), or you can add a second cage that is specifically for flight and exercise. Cockatiels’ feet are zygodactyl, which means that two toes point forward and two toes point backward. The ideal perch width should be between 0.875 and 1.5 inches for the most secure footing. Providing varied perch widths, lengths and surfaces is ideal to keep your bird’s feet healthy and strong. However, avoid sandpaper-covered perches as these can abrade and irritate your bird’s feet. Be sure that perch spacing inside your bird’s cage offers sufficient room to fly without wings hitting a perch. Also be careful not to choose perches with sharp angles or rough edges, as these can cause injury. Braided rope perches, edible perches, natural wood perches and multi-surface perches of different lengths and widths will give your cockatiel the most natural and enjoyable habitat. Cockatiels as pets are really smart! They are creative and inventive and love to stay busy playing with toys, chewing and exploring their environment. Cockatiel toys are an essential part of your pet cockatiel’s daily enrichment. Plan to provide a variety of different toys and rotate those toys to be sure your bird doesn’t get too bored with her favorites. Starting while your cockatiel is young means they will grow up more connected to you, AND more able to entertain themselves when you have to leave them alone. To learn more about the different kinds of cockatiel toys your pet will enjoy, visit our review of the best cockatiel toys. Cockatiels in the wild forage all day long for food, consuming bits here and there and dropping the rest to the ground, which helps replenish and regrow their food! They also chew insatiably to clean and smooth their beaks. In captivity, be prepared for a messy eater! Cockatiels happily fling their food in all directions, which makes a “seed guard” attachment for their cage a welcome addition. Because hand-tamed cockatiels as pets are so social and people-oriented, you can expect your pet bird to learn how to beg for human food right away. Cockatiels typically want to be with their “flock” at all times, doing whatever you are doing and eating whatever you are eating. You want to be sure your pet cockatiel is getting the full complement of daily vitamins, minerals and nutrients. This can include small quantities of appropriate, safe and healthy “people” foods as treats (dry cereal such as Cheerios or Ezekiel, small fruit chunks or vegetable cubes, cooked rice or quinoa, hard-boiled eggs, leafy greens, and so forth). But veterinarians today agree that pelleted foods best meet this need for pet cockatiels. If you are bringing home a rescued adult cockatiel who eats bird seed exclusively, this may mean you will have a period of uncomfortable transition. Talk with your veterinarian about the best pelleted food to offer and how to transition a seed eater over to pellets safely. Eventually, pellets should comprise about three quarters of your cockatiel’s daily diet, with fresh fruit and veg, lean protein, and seedy treats making up the remainder. Make the most of those fresh tidbits and treats by incorporating them into training, or foraging games to improve their welfare and well-being. Cockatiels do NOT need grit to digest their food. But they DO need continual access to fresh water at all times. They might not appear to drink much – they can produce almost all the water they need metabolically if they are eating the right balance of carbohydrates and fats – but never withdraw it. Spray-misting or a shallow water dish for bathing will also be appreciated. Not all cockatiels make excellent pets. The best pet cockatiels will be rescued adult cockatiels who were previously kept as pets or young hand-tamed cockatiels that have been breeder-raised specifically to be pet birds. It is absolutely possible to teach your pet cockatiel to do tricks, to sing songs and even to say a few words. However, if you really want a pet bird who will talk, be aware that cockatiels are not the “talkers” in the parrot world. They are much more prone to whistling, and can learn whole tunes, as this viral video demonstrates. Cockatiels do tend to have a more nervous temperament than some other parrot species. These episodes are still not well understood, but they are well documented. Cockatiels can get easily startled at night, whether by an insect, a draft, a beam of light or even their own movements. Once spooked they fly in a frenzy, banging around the cage and even harming themselves. Cockatiels will also freely nibble on houseplants, household furnishings, paint, grout, crown molding, wood and anything else that seems chew-worthy. Some of these may be toxic to your bird! Bird-proofing your house is a must before letting your cockatiel have free run of the household. 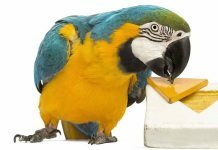 Self-cleaning appliances and Teflon pans are also toxic to pet birds, including the fumes they release when they are used which we don’t even notice. For this reason, keep your cockatiel out of the kitchen. Cockatiels are also prone to obesity (especially from seed-based diets), vitamin deficiency, respiratory infection, overgrown beak and claws, and, for pregnant females, egg-binding. A cockatiel pet bird is sure to amuse you with their appetite for games and mischief! Despite their petite appearance, cockatiels need a deceptive amount of space, and a lot of time and attention. 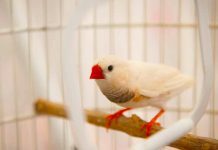 If you’re looking for a smart pet, and you have the resources to keep them company and provide enrichment to stop them getting bored, a cockatiel might be the right pet for you. Whatever you decide, we hope you have enjoyed learning more about cockatiels as pets. If you already have a cockatiel, what advice would you give to someone thinking of getting their first bird? Share your wisdom in the comments box! Pepperberg & Funk, “Object permanence in four species of psittacine birds: An African Grey parrot (Psittacus erithacus), an Illiger mini macaw (Ara maracana), a parakeet (Melopsittacus undulatus), and a cockatiel (Nymphicus hollandicus)”, Animal Learning and Behaviour, 1990. Assis et al, “Environmental enrichment on the behavior and welfare of cockatiels (Nymphicus hollandicus)”, 2016. Simone-Freilicher & Rupley, “Juvenile Psittacine Environmental Enrichment”, Veterinary Clinics: Exotic Animal Practice, 2016. Marino, “Tips and Tricks for Foraging and Enrichment” Journal of Avian Medicine and Surgery, 2018. Carvalho et al, “Use of collard green stalks as environmental enrichment for cockatiels ( Nymphicus hollandicus ) kept in captivity”, 2017. Johnson, D., DVM, et al, “Cockatiel,” Avian and Exotic Animal Care Veterinary Hospital, 2018. Newmyer, B., “Nymphicus hollandicus (Cockatiel),” Animal Diversity/University of Michigan Museum of Zoology, 2014.